Diseases of the nervous system in infancy and childhood have a profound impact on the lives of patients and their families and are probably the most disruptive of all paediatric ailments. 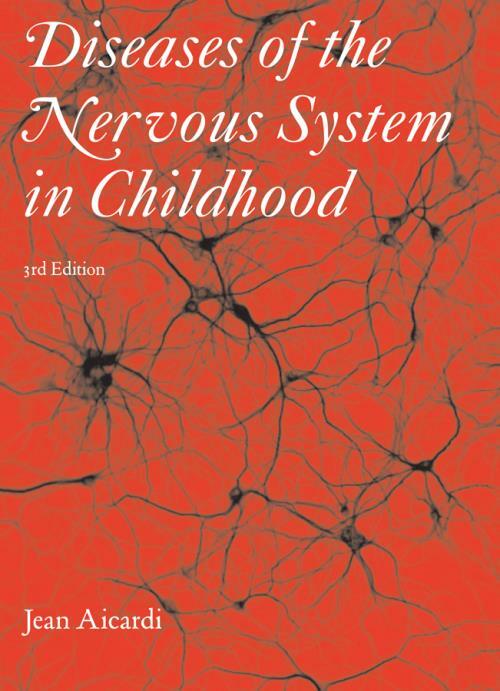 Aicardi′s Diseases of the Nervous System in Childhood is thus the essential resource for child neurologists, neurologists, paediatricians, and physicians in developmental medicine. The third edition has been extensively updated to incorporate the tremendous volume of new information since the previous edition, but remains as clinically oriented as its predecessors. Because of the enormous and wide–ranging amount of new material available, Aicardi and his co–editors have been joined by an eminent team of international experts who have contributed many of the chapters. "This book is one of the best of its kind and, as with the first edition, will continue to take first place on the shelf of all paediatric neurologists. It is also highly readable, and will remain the ′friendly companion at the bedside′ that Professor Aicardi aims for." "This text is an excellent investment for any paediatric department as a bench book: trainees will rely on it for postgraduate examinations and many physicians in general and neurological practice of children and adults will covet the copy that is now at my right hand." 1. FETAL AND NEONATAL NEUROLOGY (Linda de Vries). 2. MALFORMATIONS OF THE CENTRAL NERVOUS SYSTEM (Jean Aicardi). 3. NEUROCUTANEOUS DISEASES AND SYNDROMES (Jean Aicardi). 4. NEUROLGOICAL AND BEHAVIOURAL ASPECTS OF GENETIC ABNORMALITIES AND DYSMORPHIC SYNDROMES (Christopherg Gillberg, Jean Aicardi and Martin Bax). 5. OSSEOUS MALFORMATIONS OF THE SKULL AND CERVICAL VERTEBRAE (Jean Aicardi). 6. HYDROCEPHALUS AND NON–TRAUMATIC PERICEREBRAL COLLECTIONS (Jean Aicardi). 7. CEREBRAL PALSY (Ingeborg Krägeloh–Mann and Martin Bax). 8. METABOLIC DISEASES (Hélène Ogier and Folker Hanefeld). 9. HEREDODEGENERATIVE CENTRAL NERVOUS SYSTEM DISORDERS (Jean Aicardi and Folker Hanefeld). 10. INFECTIOUS DISEASES (Hermione Lyall and Cheryl Hemingway). 11. PARAINFECTIOUS AND OTHER INFLAMMATORY DISORDERS OF NEUROLOGICAL ORIGIN (Folker Hanefeld and Jean Aicardi). 12. ACCIDENTAL AND NON–ACCIDENTAL INJURIES BY PHYSICAL AGENTS AND TOXIC AGENTS (Keith Brown and Robert Minns). 13. TUMOURS OF THE CENTRAL NERVOUS SYSTEM AND OTHER SPACE–OCCUPYING LEASIONS (Jean Aicardi). 14. CEREBROVASCULAR DISORDERS (Jean Aicardi). 15. EPILEPSY AND OTHER SEIZURE DISORDERS (Alexis Arzimanoglou). 16. PAROXYSMAL DISORDERS OTHER THAN EPILEPSY (Jean Aicardi). 17. DISORDERS OF OCULOMOTOR AND VISUAL SYSTEMS (Matsuba Carey and Jean Aicardi). 18. HEARING IMPAIRMENT (Anne O′Hare). 19. NEUROMUSCULAR DISEASES (Jean Aicardi). 20. DISORDERS OF THE PERIPHERAL NERVES (Robert Ouvrier). 21. MUSCLE DISORDERS (Kathryn North and Lloyd Shield). 22. NEUROLOGICAL MANIFESTATIONS OF SYSTEMC DISEASES (Jean Aicardi). 23. MENTAL AND BEHAVIOURAL DEVELOPMENT (Christopher Gillberg and Martin Bax).